In Right of Way magazine, we discuss locating and managing underground infrastructure and 3-D geospatial mapping. 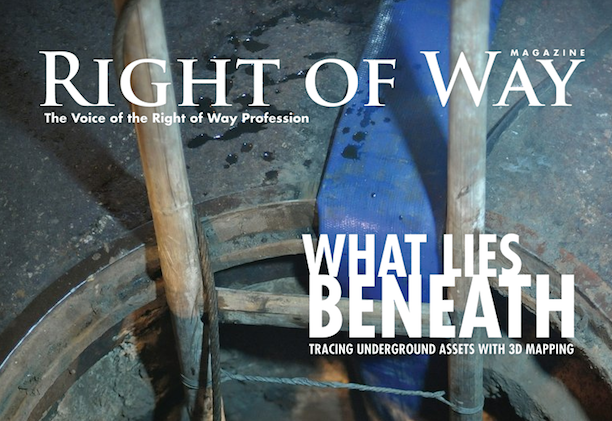 Be sure and look for our feature article in the latest issue of Right of Way magazine entitled, “What Lies Beneath: Tracking Underground Assets with 3D Mapping” by our own CEO, Mark Smith. The article examines the fact, that in the USA alone an underground utility is hit on average every 60 seconds making the total cost to the national economy is estimated to be in the billions of dollars. Through a combination of research and anecdotal evidence based on our years of experience, the article presents our findings on the importance, methodologies and the means of accurate 3D mapping. Since there is no one silver bullet or one technology that will provide 3D mapping of every infrastructure for every industry. The article conveys how we at Geospatial Corporation begin with assessing the situation and area, then determine the correct technologies or combination of technologies to accurately map the various levels of underground infrastructure within 4 inches (10 centimeters). More than our business it is our focus and goal to eliminate dangerous and costly accidents by providing detailed, accurate mapping in 3D.